Ferrari have signed a new engineer from Toro Rosso: Riccardo Adami. For those who don't remember, that was Vettel's race engineer when he raced for TR. More importantly, will this mean Andrea Stella will be working with Kimi again? I highly doubt it! I think he will get promoted. 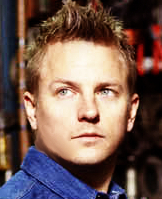 Kimi would probably retain his engineer. Can´t we wait with those speculations? I don´t trust this "Nano goes to McLaren" as long I don´t hear it from his mouth. Vettel announced on Saturday that he will be leaving Red Bull at the end of the season, with the four-time world champion set to replace Fernando Alonso at Ferrari. Asked if having Vettel as his team-mate is a situation that he would be happy with, Raikkonen replied: “Yeah, for sure. And Raikkonen said Vettel is likely to come in to a much stronger team in 2015, feeling Ferrari is set to make good progress. “I have a big belief that we should be in a much, much better position at the start of next year. Obviously we will know more once we get the car on the circuit, but we made progress this year. If you compare where we started this has been pretty good progress. We still have some difficulties to get where we want to be but I have pretty good belief that we can sort out those things for next year. And Raikkonen said he is prepared to work hard as part of a long-term project to bring success back to Ferrari. “I was here before, I won the championship, I won the constructors' championship twice. I went away, I came back only because I wanted to come back and not because of someone forcing me to be here. It was my choice, if I wasn't in to the whole thing I wouldn't be sitting here. I can stop whenever I want. I can walk away today, or tomorrow or in ten years. for posting that, Miezi. It's great to hear that Kimi is so invested in the team. I just hope they're able to reconstruct the front end of the car to his liking. I have a feeling they could listen to Kimi the rest of the season, and it would be a major help to both him and Seb. Both seem to have similar driving styles! Finally a journalist who goes against the masses! October 4, 2014 - I am a sinner, a reprobate. I do not cry, do not scourge myself, do not use newspaper columns or microphones to scream urbi et orbi my inconsolable grief. Why am I not at all sorry?, for Alonso and Ferrari to separate was part of the logic of things already for several months, because one had become uncomfortable for the other and vice versa. Because in a world now dominated by the logic of the big companies and the professionalism exasperated flags waving where they see fit. Here today, gone tomorrow, the contracts are long as the automobile leasing, do not redeem the car and never leave out the final settling. It was an announced divorce and both sides will gain. Alonso may have the opportunity to earn what he wants and demonstrate with concrete victories what inconsolable widows have repeated for years: that he is the best driver in the world. Ferrari, which paraphrasing García (not the sergeant but the Roma coach) transmit church, or Maranello, at the center of the village after the personality of the asturian often had blurred it. And if I have to be honest, if I was Marchionne I would have behaved the same way. Having to actually start from a long series of failures, I would have sacrificed the innocent symbol of the disaster and then invested over in whom has won more world Championships, facts not words, is younger and is definitely more of a team player. The one, I mean Seb Vettel - which I have always loved as I also loved Schumacher in Benetton - which of course will complain less in public, work in silence and during difficult times, not seek improbable alliances with media. One that, if things go well, will not be because of his own strokes of genius and if they're going bad, it will not be just the fault of the team. A less self-centered, less showbusiness, with the safe approach - God forbid - but more humble. One that, at the first error, will accept in silence the tam-tam of destroyers, but in the good days will exalt and give proper weight to those who stretch out the red carpet, yellow or green. A normal Champion, not a Champion surrounded by a protective media network - very clever of him for creating it - that in the history of Maranello has no equal. Prost didn't have such luck, one of the top five in history, not even Schumacher, who began to be appreciated only shortly before winning the first title in Ferrari, doesen't even has it - not had even ever attempted to and I also love him for that - Kimi Raikkonen. Alonso instead has been a historical anomaly for the Cavallino: a driver who managed to succed despite winning relatively little - not a value judgment is clear, but purely statistical - to create around him a legendary aura always able to get out unscathed from a long and tiring season, another first time in history, that he was innocent regardless, even in the few races in which he was dead wrong - I remember a contact with Raikkonen at Suzuka - and to take awareness to the many who feared the reaction of Ferrari, that some of the Ferrari cars were not quite up to the task. From the point of view of "the media" Alonso has represented for the Maranello radical discontinuity with the past. From the team that won, because they had a good team and Schumacher, had gone to Alonso working miracles in spite of a team that does not exist and bad cars" according to the dominant opinion. The new management could accept this? I do not think so. They had to bring Ferrari at the center of the village. This is what has happened. With Vettel, for sure, there will be less tension, less jitters. Greater peace of mind. More Ferrari and less tantrums. Raikkonen will get new chassis in US after raising his tone in a "hard", but respectful conversation with Mattiacci. I'll be cheering him on to beat Alonso in the USA! Some interesting articles about Kimi, perhaps they changing their focus now.